I am one of these strange people who prefers fdisk to all other alternative programs (cfdisk, sfdisk, parted, et al). Sadly, there are different “fdisk” commands from different suppliers. 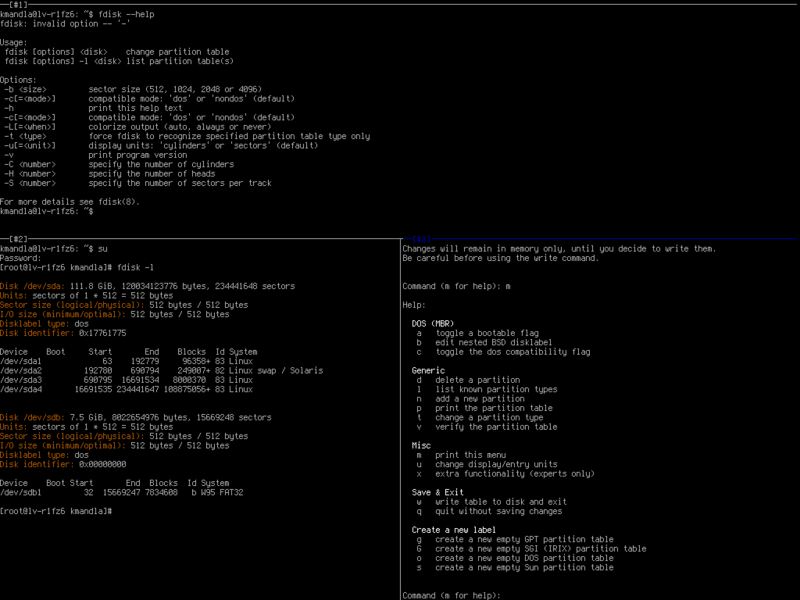 -Traditional fdisk at linux distros is from util-linux or util-linux-ng packages. PS: You are right: fdisk with color!! !